Technical Production Services See The Light With A Clear Vision Of Technology! 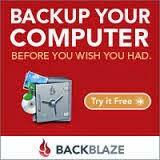 The Future is Technology-Let Me Help Make It Simple! After 16 months of using the Iris Home Security and Automation system I figured it was time for a review. I was fortunate to get in on the ground floor, meaning "Version 1" of the system hub and devices. Shortly after signing up (they provide you with 3 free months of premium, $9.99/month service), I received notice that the new Version 2 Hub would be out soon and to sign up for my free upgrade which I most certainly did! Excited that this up-and-coming company/product was pushing forward and providing their loyal, existing customers a free upgrade-Smart! The version 1 system was pretty complete right out of the box. I initially purchased the basic home security package which included the hub, 1 keypad, 2 door sensors and1 motion sensor. I would add a number of others over the next few months as they would go on sale and I would decide to cover all windows and add more motion sensors, front and back irrigation control and a loud siren. Oh, I had also added a smart light switch and another 'dimmer switch' for the kitchen light. Programming was made easy with the intuitive web page management. There was also an app for IOS and Android although it was not always that fast and would be take a lot longer to set up sprinkler scheduling. But at least it worked! I say this because around the 10th of January, 2016 I received the Version 2 Hub. Being the techie that I am I admit I just opened the box, unplugged the old and plugged in the new. I then jumped on to the website only to learn I had done it all wrong. In fact there was no website for version 2 owners. You first had to go through this 'migration process', which made sense after I went back and read the easy to follow steps on the packaging. It made sense because the migration would take all of the settings from the existing hub and move them to the new system. They went a step further however, and had you create a new account. Again, this made sense in the fact that by creating a new account and doing this migration, if you needed to go back, you should be able to just close that account and use the old one. That is where I noticed the first red flag.. as I was allowing the migration to complete, I read on... apparently once the migration was complete there was no going back. In fact it made it quite clear that any reporting that was done with version 1 should be downloaded (as a csv file), which I did, even though that data for me was of no use. So the migration was complete after about 30 minutes and upon completion it said all devices except one worked. The one that didn't work because it was 'incompatible' was the most recent purchase, a GE Smart dimmer switch. I was shocked and quite pissed, especially since it says right on the box that it will work (and did work with Version 1). My initial thought was, 'What the hell? This new version 2 raves about being more compatible with more devices!' Fortunately I had just purchased it on Amazon and was able to return it and get another one that was also GE but worked according to the forum members. They were correct, although the pairing of the devices was and still is a nightmare. As for the pairing of devices.... once the migration was complete, and remember it told me all was completed except one device was not compatible. Virtually none of these devices would work. I ended up 'removing device' one at a time, only to find that half of the time the device would not remove. I followed the help/support and worked my way through the forums and reset the hub as directed.. no change.. frustrated I decided to call the support phone (as that is what would come up on your device when something failed).. I got through right away, or so I thought, it went through the spiel about version 1 hub owners and version 2 hub owners and to reset, blah blah blah, then it said, your customer service representative will be with you in 34 minutes.. haha yeah right... click! Note: jump to [success finally] if you are wanting to learn how to get your devices to actually work! Thank you for your email and allowing me the opportunity to assist you today. I sincerely apologize for the delay in my reply. Thank you for your feedback and concerns. We would like to help you with any issues you are experiencing. We do have a web interface being created for the 2nd Generation. The irrigation controller scheduling on the 2nd generation is not fully active yet but is also coming very soon. We are happy to work with you on getting the rules and scenes setup how you would prefer. 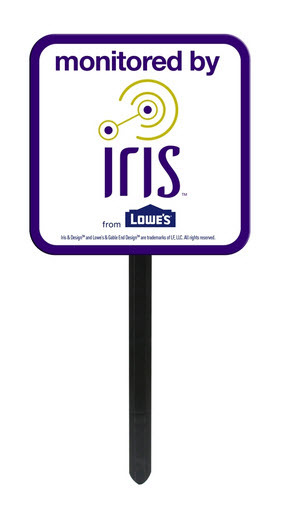 You may reply back to this email with the best time to contact you and your phone number or you may contact Lowe’s Iris Support at 1-855-469-4747. Our hours of operation are Monday – Saturday 7:00 am – 1:00 am and Sunday 10:00 am – 9:00 pm EST. I do note in my support email that the 'rules' and 'scenes' that they have added simply do not work as they should. Complete crap programming whereas you can set a scene and then choose to schedule it daily or every day but not the ability to choose on and off times. You can set it to come on for when you want but then you have to create another one for turning it off. A simple rule that was done in a second with version 1 software: When motion detected from device, turn on a light for 30 seconds, between the hours of 6pm and 6am: That way when it was dark the light would turn on but wouldn't do so when it was light out. Then as the daylight hours changed all I would have to do is change the clock times. Now it seems I have to set two rules as the first one doesn't 'turn off' after 6am so that part of the rule simply doesn't work. Basically this 'rule' hasn't worked properly for me. As for the Scenes, I have managed to set that up where I can arm the alarm "good night" and it also turns on the kitchen light. But even that doesn't allow me to set the light to 1%, only in 10% increments so instead of having the light dim at 1% I have to first run the scene and then go to the light switch device and manually set it to 1%. They are LCD lights so there is virtually no power consumption and if you have to get up in the middle of the night you won't be fumbling and bumping in to something until you can get to the light switch. (that motion rule was so unreliable that this scene worked better). But my point being, I shouldn't have to be making concessions for a new system that already worked! As for the pairing, or I should say re-pairing of the devices, I found with most devices like the irrigation controllers, simply removing the device didn't work as it would still show up in the devices each time I would remove it. Even though it would say on the app that the device was successfully unpaired. What I ended up doing was resetting the device and during the reset process it would then remove successfully from the list of devices. This required unplugged the battery for a few seconds and then when inserting the battery, pushing the pairing button a number of times. Some devices required 3 and some required 5 and even 8 pushes.. basically the light would start flashing when it was reset and ready to pair once again. Now that I have done this with each and every device I am happy to say it is all working. Spoke too soon of course. Starting my sprinkler for a period of time wouldn't always start and going back to the app I would see that it was showing that it was working but no dice! The real kicker was when I would click on STOP and it would provide me with an app error "oops something went wrong" along with the phone number to call customer support "or try again later". I found this would continue until the timer was spent at which point I would be able to try again and was usually lucky the second time and the sprinkler would actually start. But even that being said, I still could not STOP the job as it would give me the crash message and I would have to let the timer run through. Enough was enough, I pushed the reset button on the hub (for less than 3 seconds as they say to do) in hopes that with everything now properly being detected by the hub and it actually controlling things, this simple reset may clear some cobwebs, just like any good restart of your computer would do.... so far so good. The sprinkler system is starting and stopping, although I have only tried it (stopping it) twice since writing this, it seems to recognize all the commands. I guess there is hope and my main reason for posting this is for all of those that may not be so technically talented and simply can't stand when their electronic/computer/device malfunctions and has had enough, to realize with every failed function and reporting of that failed function, it can only lead to better research and development and hopefully more reliable products as they become available to the consumer market. Not AFTER they have been released. With the case of the Iris by Lowe's Version 2 hub, there is no question it shouldn't have been released yet. It is my opinion they were under the gun to get it out the door, since it had been over a year that they had promised this new version. I know because I was one of those first signed up for the free upgrade just after purchasing it in November 2014. January 2016 I receive the product and it is by no means ready for full release, especially since the 'new website' to control the version 2 hub is not up. It is definitely a step backwards at this point, from version 1. This is completely wrong for any company to release an 'upgrade' when it actually sets you back technically from what you were capable of doing before the upgrade! It's my opinion if/when you receive your free upgrade hub, unless the new website is up to help you control and schedule events, rules and simply home monitor, I wouldn't be as hasty to perform the upgrade on your home device! Stick with version 1 until the website has been built which will allow you a heck of a lot more comfortability in programming the devices and getting your account in order. The app is simply too unreliable and quirky to be the one and only "master controller" for your entire home at this point. 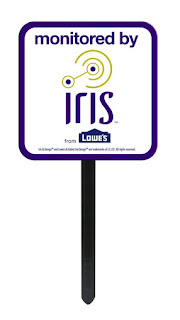 In closing, I note that I am NOT giving up on Iris by Lowe's as I was so impressed with the ease (and price) of the initial package that would help keep any home secure, and the ability to add more as you needs (and your budget) would allow, it still works.. it just needs some help. Waiting 35 minutes for customer support on the phone from an app that continually prompts you to call them, isn't doing the company any justice at this time. Nor is waiting 16 days for an email response from customer support going to win you much praise with the online community either. Pushing a version 2 of a product that "should" come complete with a website access for account and home monitoring and scheduling, but doesn't because.. it isn't 'up yet' is inexcusable! Come on man.. give your valued customers what they want.. a product that works and is reliable.. don't make us jump ship for some other alternative.. we are as invested in this product too..
NO AGENDA EPISODE 803 - "JOE HITLER"
NO AGENDA EPISODE 802 - "WAREHOUSE OF SOULS"
NO AGENDA EPISODE 801 - "WHITE MALE CLERKS"
NO AGENDA EPISODE 800 - "TOILET WARS"
NO AGENDA EPISODE 799 - "WAR ON SERIF"
NO AGENDA EPISODE 798 - "DANGEROUS SPEECH"
NO AGENDA EPISODE 796 - "BOMB DENMARK"
2004-2018 tpsconsulting.com. Picture Window theme. Powered by Blogger.